In today’s society, many of us want to cut costs wherever possible. Since owning a vehicle is a big yearly expense, it’s naturally one of the first places to look to find savings. And of these vehicle expenses, car insurance is a significant one. Normally your rates will depend on factors like your age, driving record, vehicle, your vehicle’s age, and where you live. So, how do you get started? Before talking to your agent, ask yourself a few questions about your current policy. Here are a few of the most important that will put you one step closer to getting cheaper auto insurance premiums. 1. Do you really need collision insurance? 2. Do you have a copy of your current insurance policy? When talking with an agent, you’ll want to know the exact coverage you have and how much you’re paying for each portion of it. This will be important when you’re comparing different insurance companies. 3. Is towing covered on your existing policy? Good maintenance and proper planning can end up saving you a lot of money in the long run. At some point during your time as a vehicle owner, your car will break down. But, if you maintain it well, it won’t happen often. Look at it this way – you may pay $10-$30 per year over the life of your policy; but a single tow costs $100. And, in the event of an accident, towing is almost always covered under collision. 4. Do you have car rental on your policy? Normally, small economy cars cost about $20-$25 per day to rent, while car rental insurance can run you an additional $20-$40 per year. It may be best to take your chances on rentals. 5. Does your company have a forgiveness policy? Some auto insurance companies will “forgive” you for the first accident that happens while under their coverage. The factors to qualify for this are wide-ranging, so be sure to talk with your agent about just how this could work for you. 6. Are you spending money on extra coverage for automobile-related death? This is often extra coverage you’re paying for each year that isn’t necessary. Check your policy – if you have it, it’s likely something you can get rid of and save yourself money. 7. Do you need uninsured motorist (UM) coverage? Uninsured motorist coverage is another factor to consider dropping from your policy, but before you do, consider the benefits and drawbacks. It will save you money on your monthly premium, but could end up costing you quite a bit of money should an accident occur. 8. Can you afford to increase your deductible? If you have the budget, consider keeping your collision and comprehensive insurance, but increase your deductible to $1,000 or more. This means you’ll pay less in monthly premiums, but more in the event that an accident occurs. 9. Are you driving an older car? If so, consider dropping your collision and comprehensive coverage. The rule of thumb is that, if your vehicle is worth less than 10 times your premium, having this coverage may not be very cost-effective for you. To find how much your car is worth, you can visit Kelley Blue Book. 10. Can you drop liability limits? The “recommended” limit is 100/300/50, but to save money in the short-term, consider dropping it to 25/50/10. Depending on where you live, your state may have a minimum liability limit of 25/50/10, but others require higher or lower minimum coverage. Before doing this though, think about how low you can go while still protecting yourself if you have an accident. Weigh the cost of dropping your monthly premiums to a minimum versus how much you’d have to pay if you were involved in a serious accident. 11. Are you considered a “bad risk” customer? 12. What is your risk rating? Preferred – This category is for the safest drivers; usually those who have a clean driving record for the last 3-5 years. Standard – This is for moderate risk drivers; normally those who are driving a family car and have a fairly clean driving record. Non-standard – The last category is for those who are considered high risk and will, in turn, get the highest rates. Normally, this includes those who are under 25, those with many accidents or tickets, and those who have a reckless or drunk driving history. 13. Are you insuring vehicles you don’t drive? If so, and you don’t think you’ll drive it for a long time, consider stopping this coverage to save yourself money. Some states require that you have any registered vehicles insured. To avoid penalties, consider registering the vehicle as inoperable. And there you have it. Asking yourself each of these questions before talking to your agent will help ensure you’re well informed – and will help you negotiate the best rates on your auto insurance. Is Accident Forgiveness Worth the Extra Money for the Coverage? Do You Need a Whole Life Insurance Policy? Should You Buy Return of Premium Term Life Insurance Rider? Pam King writes on frugality, safety and insurance literacy for Direct General, a provider of cheap car insurance. When not saving money on her insurance, Pam enjoys knitting, NASCAR, family and watching rollerderby! Another question to ask when looking for car insurance is do you need an SR22? Some insurance companies don’t even offer high risk insurance. Buy a lower insurance group car. A very important factor to your insurance premium is what car you drive. Most insurance companies adopt the Association Of British Insurance Group Rating. This rates vehicle’s from 1 – 20 generally speaking the higher the group the higher the premium. Buying a car with a lower group rating can make your premium cheaper, especially for young or inexperienced drivers. Another tidbit — Drivers with good credit can score cheaper car insurance. 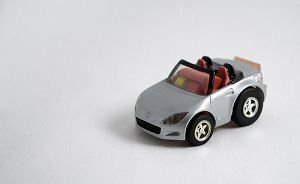 The auto insurance score is used by issuers to help price car insurance, and the auto insurance score happens to be based on a person’s credit history. Better credit could mean better car insurance rates for most drivers. Credit Karma now offers the Auto Insurance Score for free, in addition to its free TransUnion score and VantageScore. Plus, if you want to learn more about the Auto Insurance Score, here are the facts — https://www.creditkarma.com/article/insurance_score_impacts_your_car_insurance. For #13 instead of dropping coverage see if you can change your coverage to storage only. That way you are still covered in case of theft or fire. Just remember to change it back before you drive it. I wouldn’t consider dropping my uninsured motorist coverage… not sure why anyone would do that; in most cases it only cost 30 or 40 dollars for six months. Towing coverage on my policy is 6 dollars per year per vehicle, but I was able to drop AAA coverage. #7 and #10 would both be considered terrible advice by most agents. Another question that will help you is if you are a college student and seeing if they have student car discounts. Oddly enough, we just sold off an old car that our son used to drive. When I went to our insurance company’s website and used the “what if” function to see our savings when we removed that car (a 1994 Mitsubishi Expo wagon with lots of issues), our rates went UP. So … I left the car on. I don’t know if there are any legal ramifications of doing that since we no longer own the car – I hope not – but it seems stupid to be charged more for getting rid of a car. Now if we’d replaced that old car with a new one, I’d understand, but that wasn’t the case.